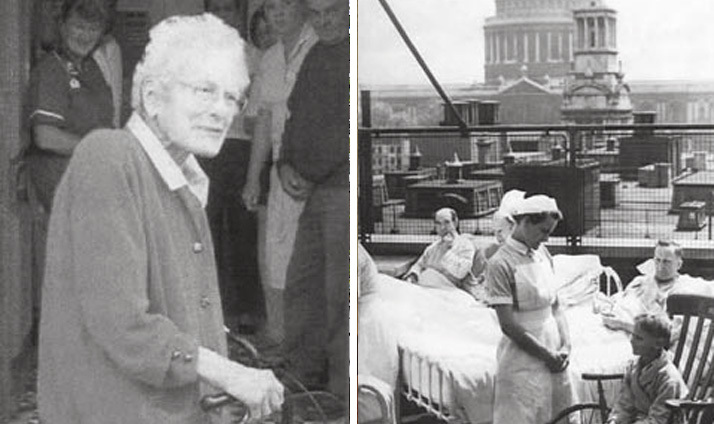 Gil began her career as a Gold Medallist nurse and later Senior Sister Tutor at St Bartholomew’s Hospital. Nursing wounded servicemen with the Red Cross in Abyssinia during the second world war, she realised their need of psychological help and went on to train as a psychoanalyst. Charles Rycroft was her training analyst and Donald Winnicott and Paula Heimann her supervisors. A person of wide ranging interests and expertise with a determined, pioneering streak, she was held in high esteem by her colleagues. In addition to her private practice she worked in therapeutic communities at the Cassell and Henderson hospitals, the Tavistock Clinic as a family therapist, with children at the Mulberry Bush School, and at the Lincoln Clinic. She acted as consultant to a number of organisations - Oxford Victim Support, Cruse, POPAN and SPANA (dealing with professional abuse), and the Guyanese Nurses Association, amongst others. She had always been keen to make psychotherapy accessible to those who for financial or other reasons would not consider it available to them, and when in 1981 the Clothworkers’ Company offered her the use of the Tower of all Hallows Staining, her ambition to set up a centre for easily available therapy in the community began to be realised and the Inner City Centre was founded. Gil Parker, the Founder of the Inner City Centre, died on 24th June 2008 aged 91.